Our team is focused on high quality mediation service. This means we only give you the options from our own portfolio. A big advantage is that we get paid by the owner, so this will save you the mediation fee. Your perfect apartment not online? Even if you are unable to find a suitable property in our portfolio, we are still able to provide you a solution. Our unique ‘househunt-service’ will allow you to sit back and relax while our agents continue to search for the perfect house or apartment for you in Rotterdam. This means we represent you! In all matters, we are committed to find you the apartment or house you are searching for and arrange you the best conditions! Handy welcome pakkage during the check in, also with mediation service. Our agents are highly trained. They are knowledgeable, energetic and highly committed. 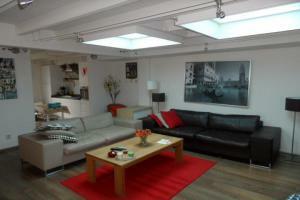 We know the inventory inside out and work with the best landlords an other agencies in Rotterdam. Our commitment to introducing you to all the apartments and houses that are available, based on your specific needs, is why you are sure to find the home that is right for you.